Meditation influences both the mind and the body. Training in meditation can make you calmer, more relaxed and less stressed. Even as little as 20 minutes per day can lead to physical changes in the body – such as lower blood pressure, lower heart rate, and deeper breathing. Meditation has also been shown to reduce pain intensity for those suffering with chronic or acute pain. Meditation can also increase longevity. It has been shown that it can protect the brain and heart on a cellular level from damage caused by chronic psychological stress. Currently, it is being studied if meditation can slow cellular aging entirely. Mentally, meditation increases activity in the area of the brain associated with a positive mood. This area, the left-frontal side, is also linked to improving the immune system. The more you practice meditation, the more you can improve your immune function. While short-term meditation can show benefits quickly, long-term meditators actually increase their grey matter volume in another area of the brain that regulate emotions. This increases positive emotions, and by increasing positive emotions it makes us less susceptible to stressors and negative stimuli. There are some meditation techniques that are increasingly used by mental health professionals to help their clients achieve their goals. 1 – Guided Imagery. During this type of meditation, the client visualizes positive or pleasant objects or scenery. Such as picturing a calm lake with fresh air on a sunny day. During a session with a counselor, certain questions might be asked such as how the grass feels on your feet. Guided imagery can be useful for anxiety treatment, PTSD, depression and more. 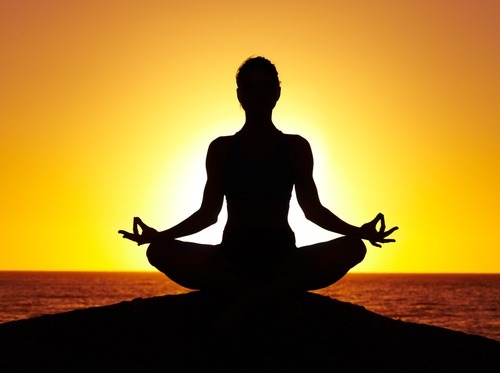 2 – Mindfulness Meditation. Mindfulness meditation is a type of meditation often used to help people be in the present moment which can deter negative thinking. It involves focusing on being in the present moment and noticing thoughts, sensations or emotions without reacting to them. For example, the client might focus on a particular object, such as a ticking clock. When the focus starts to wane to something else, such as a passing train, the client observes the train without any judgment. This can be applied in every day tasks. Some great ways to include mindfulness meditation is to utilize all of your senses to engage in the moments of your life. You might try being more deliberate in noticing the smell, texture and tastes of your food as you eat. Bathing also serves an opportunity to notice the smells and sensations of the present moment. Even going on a mindful walk and observing what each of your sense is taking in can really help one become more mindful. 3 – Focused Breathing. Focused breathing is a type of meditation that consists of deep inhalations using your diaphragm to expand the lungs slowly and smoothly. During exhale the client can relax their entire body wherever they feel any tension. There are many physical benefits to focused breathing and this technique can be used to help clients with PTSD, panic attacks, and anxiety. Meditation can be used to create many positive changes and breakthroughs. If you have any questions on meditation techniques and how they can help, contact us today.